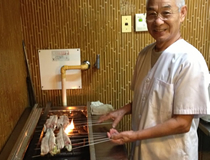 Best Grill Equipment in JAPAN,because it grill various foods so tasty! Introduce our installation record at corporate blog and this page. More than 4000 units have been introduced all over the world .(USA,Canada,Australia,Portland,China,Korea,Singapore,Malaysia,Indonesia,Thailand,Taiwan,HongKong,Germany). Please confirm that this product has been active in the variety of shops. To major chain stores from the shops that are opened by individuals, kosei charcoal griller has been active in a variety of business categories. 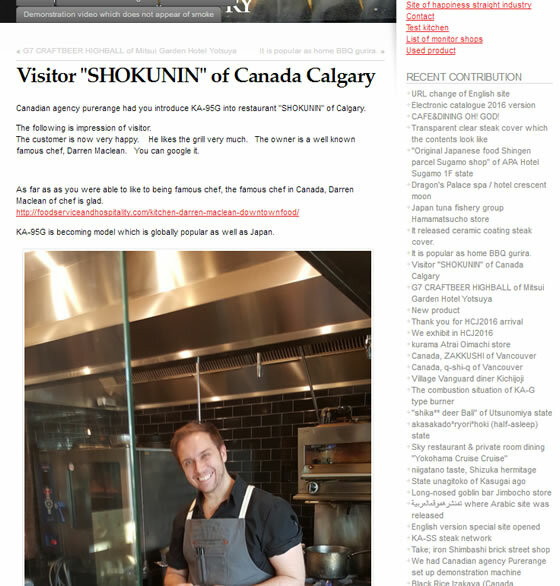 A tavern, a shop selling yakitori, a Japanese-style dish, a hotel restaurant, a steakhouse,restaurant serving everyday meals, an Italian , hamburger, an eel restaurant, a sushi shop, French, a lunch provider, a pork bowl, a company cafeteria, a daily dish, delivery, etc. Base template by WEB MAGIC. Copyright（c）2011 Kosei Kogyo, Co. all rights reserved.